The base or root chakra is associated with the color red. This chakra is the grounding force that allows us to connect to the earth energies and empower our beings. Focusing one's attention on the color of a cherry popsicle or a juicy red apple can help bring our energetic body down to earth and in alignment with our physical body when we find ourselves energetically fleeting or, in other words, spacing off. There are many different grounding visualization techniques that can be used to pull and maintain the very important connection to your root. These include imagining growing tree roots through the soles of your feet into the earth, visualizing embedding anchors into boulders or stone. You can also incorporate the color red into your wardrobe as a reminder to ground your energies, specifically for your lower body such as socks, leggings, or slacks. 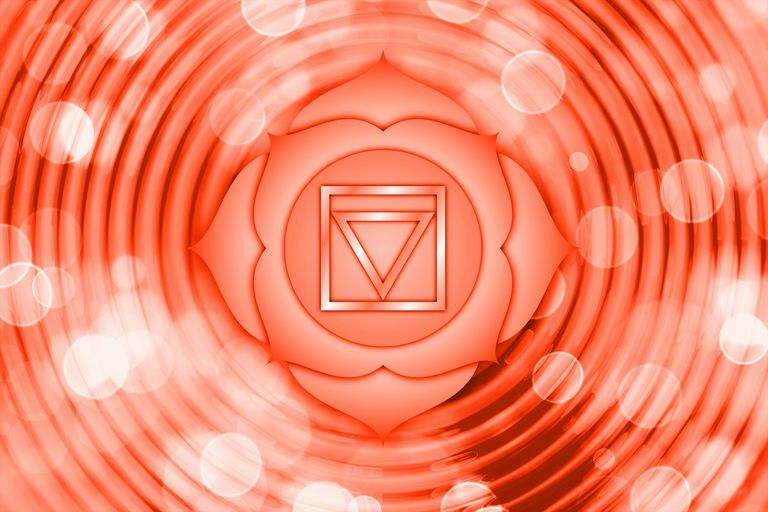 The root chakra is also the seat or slumber spot of the kundalini. The kundalini is often symbolized as a coiled snake at the base of your spine. When the kundalini is awakened (spiritual awakening) the snake is aroused and moves upwards. The awakening is pictured as a burning flame shooting through the chakras. How often have you been told that "grounding" is important? What does it mean to be ungrounded anyway? Taking this quiz will offer you clues as to which characteristics you have, and whether the actions or reactions that you take are helping you to stay grounded or are actually aiding your energetic retreats from your physical self. Brennan, Barbara Ann. Hands of Light. Kaminski. Patricia & Richard Katz. Flower Essence Repertory. Melody. Love is in the Earth. Myss, Caroline. Anatomy of the Spirit.